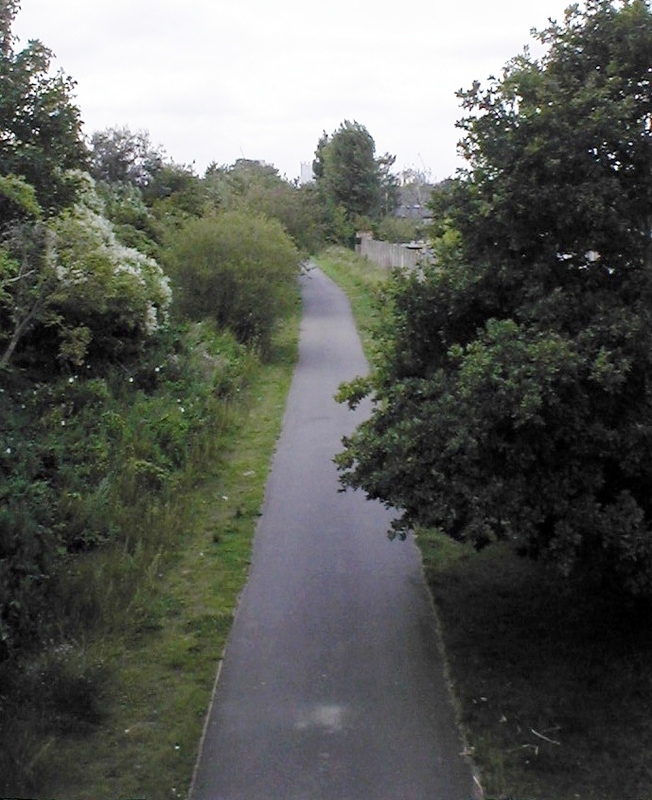 The disused railway line was left for several years before the rails were removed. 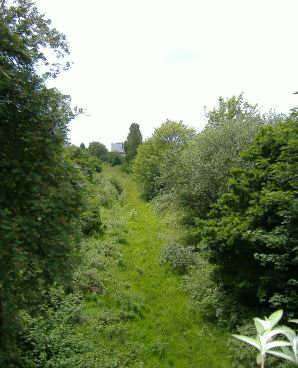 The area became overgrown and dumping occured along the length of the line. 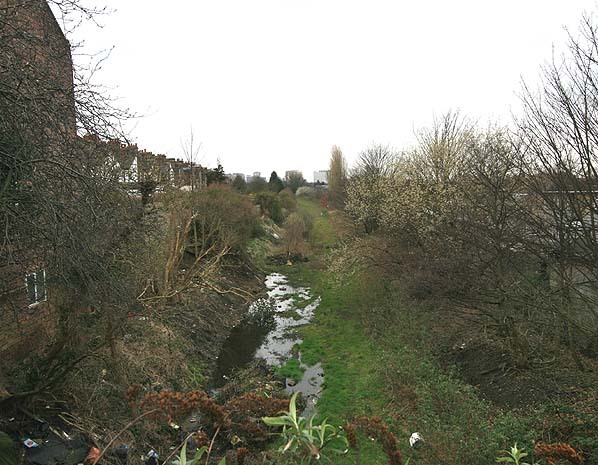 The extension of the park in phase 2 of the works program allows people to walk the full length of the park from East India Way to the Blackhorse Lane tram stop. 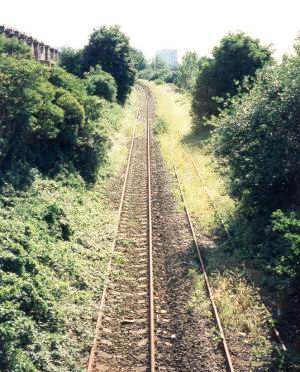 The rail lines were built across old brick quarry fields. As the clay is generally impervious, water can build up quickly in low lying areas. Even today the area is water logged giving rise to the growth of bull rushes along the path at this location.